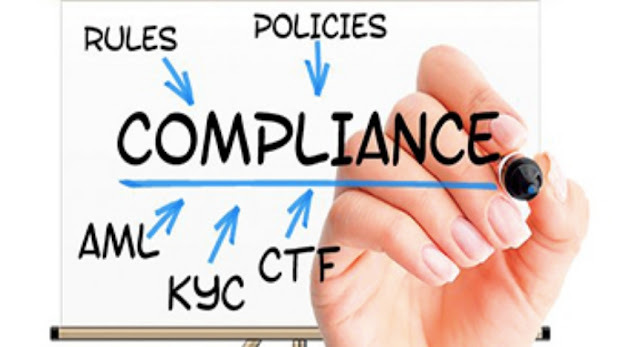 KYC Compliance - Implement with Best Practices Compliance, just the thought of it stirs an eerie response from most if not all compliance officers. I am not saying they don't love their job. I refer to their reaction in the sense of disbelief. Compliance, just the thought of it stirs an eerie response from most if not all compliance officers. I am not saying they don't love their job. I refer to their reaction in the sense of disbelief. You’d ask how? Let's take KYC compliance as an example, compliance with local AML/CTF laws? Compliance with global regulatory bodies, taking into account the changing requirements and so much more. You understand what I am trying to say, there are so many variables to keep a track of and stay ahead. As companies seek expansion and target cross border operations, the requirement for multi-jurisdictional compliance becomes ever so important. But is there a better way to achieve compliance? Yes, there is - Perception! Globally the world revolves around the flow of money, however, the question asked today where did that money originate from. As the global financial ecosystem is plagued with deep-rooted corruption and money laundering, by exploiting the existing loopholes of the system. In order to curtail this issue, the BSA and Patriot Act pioneered the concept of ‘Customer Identification’. As a part of an anti-money laundering drive to protect the system from illicit activities posed by customers, where individuals would be considered from the perspective of risk. Thus the concept of CIP or KYC compliance was born as a part of an anti-money laundering law that is now globally known as AML/CTF laws. These laws are regulated by global bodies like the FATF, which is then replicated into local laws of countries and jurisdictions. Yes, there is a global requirement to implement anti-money laundering laws and KYC compliance. Which most companies try to adhere to out of an obligation. But what if compliance could be perceived differently, where the requirements of compliance could be incorporated in the sense of best practices. Where these compliance measures disguised as ‘Best Practices’ hold a higher chance of approval from the employees of a company. In the end, compliance is a movement which needs to be approved and practiced by not just a compliance officer but also each and every employee. Whether that is the tech department or customer sales and support. These practices implemented today willingly save up on employee awareness sessions and training cost tomorrow. Identified goals and areas of improvement - companies with a clear picture of where they stand and what they want saves time to be used in implementing the changes identified. Effective internal and intra-departmental communication - good communication practices carried out today shall reap benefits in time and money by having the ‘ICE’ already broken. Establish a culture that adapts change - an employee force that is less resistive to change early on will be more willing to accept the challenges faced by initiating the changes required by any upcoming regulatory requirements. In order to ensure KYC compliance easier for businesses tomorrow. Some of the requirements should be practiced as a part of any businesses internal practices until it becomes a positive habit. This shall invite the least resistance when faced with challenges and businesses will go ahead with compliance much smoother, collectively as a business and the employee force.